This article is about the Dominions of the British Empire. For other uses, see Dominion (disambiguation). A Dominion was the "title" given to the semi-independent polities under the British Crown, constituting the British Empire, beginning with Canadian Confederation in 1867. "Dominion status" was a constitutional term of art used to signify an independent Commonwealth realm; they included Canada, Australia, New Zealand, Newfoundland, South Africa, and the Irish Free State, and then from the late 1940s also India, Pakistan, and Ceylon (now Sri Lanka). The Balfour Declaration of 1926 recognised the Dominions as "autonomous Communities within the British Empire", and the 1931 Statute of Westminster confirmed their full legislative independence. Earlier usage of dominion to refer to a particular territory dates to the 16th century and was used to describe Wales from 1535 to 1801 and New England between 1686 and 1689. Map of the British Empire under Queen Victoria at the end of the nineteenth century. "Dominions" refers to all territories belonging to the Crown. A distinction must be made between a British "dominion" and British "Dominions". The use of a capital "D" when referring to the 'British Dominions' was required by the United Kingdom government in order to avoid confusion with the wider term "His Majesty's dominions" which referred to the British Empire as a whole. All territories forming part of the British Empire were British dominions but only some were British Dominions. At the time of the adoption of the Statute of Westminster, there were six British Dominions: Canada, Australia, New Zealand, South Africa, Newfoundland, and the Irish Free State. At the same time there were many other jurisdictions that were British dominions, for example Cyprus. The Order in Council annexing the island of Cyprus in 1914 declared that, from 5 November, the island "shall be annexed to and form part of His Majesty's dominions". Use of dominion to refer to a particular territory dates back to the 16th century and was sometimes used to describe Wales from 1535 to around 1800: for instance, the Laws in Wales Act 1535 applies to "the Dominion, Principality and Country of Wales". Dominion, as an official title, was conferred on the Colony of Virginia about 1660 and on the Dominion of New England in 1686. These dominions never had full self-governing status. The creation of the short-lived Dominion of New England was designed—contrary to the purpose of later dominions—to increase royal control and to reduce the colony's self-government. Under the British North America Act 1867, Canada received the status of "Dominion" upon the Confederation of several British possessions in North America. However, it was at the Colonial Conference of 1907 when the self-governing colonies of Canada and the Commonwealth of Australia were referred to collectively as Dominions for the first time. Two other self-governing colonies—New Zealand and Newfoundland—were granted the status of Dominion in the same year. These were followed by the Union of South Africa in 1910 and the Irish Free State in 1922. At the time of the founding of the League of Nations in 1924, the League Covenant made provision for the admission of any "fully self-governing state, Dominion, or Colony", the implication being that "Dominion status was something between that of a colony and a state". Dominion status was formally defined in the Balfour Declaration of 1926, which recognised these countries as "autonomous Communities within the British Empire", thus acknowledging them as political equals of the United Kingdom. The Statute of Westminster 1931 converted this status into legal reality, making them essentially independent members of what was then called the British Commonwealth. Following the Second World War, the decline of British colonialism led to Dominions generally being referred to as Commonwealth realms and the use of the word dominion gradually diminished. Nonetheless, though disused, it remains Canada's legal title and the phrase Her Majesty's Dominions is still used occasionally in legal documents in the United Kingdom. The phrase His/Her Majesty's dominions is a legal and constitutional phrase that refers to all the realms and territories of the Sovereign, whether independent or not. Thus, for example, the British Ireland Act 1949, recognised that the Republic of Ireland had "ceased to be part of His Majesty's dominions". When dependent territories that had never been annexed (that is, were not colonies of the Crown, but were League of Nations mandates, protectorates or United Nations Trust Territories) were granted independence, the United Kingdom act granting independence always declared that such and such a territory "shall form part of Her Majesty's dominions", and so become part of the territory in which the Queen exercises sovereignty, not merely suzerainty. The later sense of "Dominion" was capitalised to distinguish it from the more general sense of "dominion". The word dominions originally referred to the possessions of the Kingdom of England. Oliver Cromwell's full title in the 1650s was "Lord Protector of the Commonwealth of England, Scotland and Ireland, and the dominions thereto belonging". In 1660, King Charles II gave the Colony of Virginia the title of dominion in gratitude for Virginia's loyalty to the Crown during the English Civil War. The Commonwealth of Virginia, a State of the United States, still has "the Old Dominion" as one of its nicknames. Dominion also occurred in the name of the short-lived Dominion of New England (1686–1689). In all of these cases, the word dominion implied no more than being subject to the English Crown. The foundation of "Dominion" status followed the achievement of internal self-rule in British Colonies, in the specific form of full responsible government (as distinct from "representative government"). Colonial responsible government began to emerge during the mid-19th century. The legislatures of Colonies with responsible government were able to make laws in all matters other than foreign affairs, defence and international trade, these being powers which remained with the Parliament of the United Kingdom. Bermuda, notably, was never defined as a Dominion, despite meeting this criteria, but as a self-governing colony that remains part of the British Realm. Nova Scotia soon followed by the Province of Canada (which included modern southern Ontario and southern Quebec) were the first Colonies to achieve responsible government, in 1848. Prince Edward Island followed in 1851, and New Brunswick and Newfoundland in 1855. All except for Newfoundland and Prince Edward Island agreed to form a new federation named Canada from 1867. This was instituted by the British Parliament in the British North America Act 1867. (See also: Canadian Confederation). Section 3 of the Act referred to the new entity as a "Dominion", the first such entity to be created. From 1870 the Dominion included two vast neighbouring British territories that did not have any form of self-government: Rupert's Land and the North-Western Territory, parts of which later became the Provinces of Manitoba, Saskatchewan, Alberta, and the separate territories, the Northwest Territories, Yukon and Nunavut. In 1871, the Crown Colony of British Columbia became a Canadian province, Prince Edward Island joined in 1873 and Newfoundland in 1949. The conditions under which the four separate Australian colonies—New South Wales, Tasmania, Western Australia, South Australia—and New Zealand could gain full responsible government were set out by the British government in the Australian Constitutions Act 1850. The Act also separated the Colony of Victoria (in 1851) from New South Wales. During 1856, responsible government was achieved by New South Wales, Victoria, South Australia, and Tasmania, and New Zealand. The remainder of New South Wales was divided in three in 1859, a change that established most of the present borders of NSW; the Colony of Queensland, with its own responsible self-government, and the Northern Territory (which was not granted self-government prior to federation of the Australian Colonies). Western Australia did not receive self-government until 1891, mainly because of its continuing financial dependence on the UK Government. After protracted negotiations (that initially included New Zealand), six Australian colonies with responsible government (and their dependent territories) agreed to federate, along Canadian lines, becoming the Commonwealth of Australia, in 1901. In South Africa, the Cape Colony became the first British self-governing Colony, in 1872. (Until 1893, the Cape Colony also controlled the separate Colony of Natal.) Following the Second Boer War (1899–1902), the British Empire assumed direct control of the Boer Republics, but transferred limited self-government to Transvaal in 1906, and the Orange River Colony in 1907. Canada: "Rather large for him, is it not?" Australia: "Oh his head is swelling rapidly. The hat will soon fit." The Commonwealth of Australia was recognised as a Dominion in 1901, and the Dominion of New Zealand and the Dominion of Newfoundland were officially given Dominion status in 1907, followed by the Union of South Africa in 1910. By the time of Confederation in 1867, this system had been operating in most of what is now central and eastern Canada for almost 20 years. The Fathers of Confederation simply continued the system they knew, the system that was already working, and working well. The constitutional scholar Andrew Heard has established that Confederation did not legally change Canada's colonial status to anything approaching its later status of a Dominion. At its inception in 1867, Canada's colonial status was marked by political and legal subjugation to British Imperial supremacy in all aspects of government—legislative, judicial, and executive. The Imperial Parliament at Westminster could legislate on any matter to do with Canada and could override any local legislation, the final court of appeal for Canadian litigation lay with the Judicial Committee of the Privy Council in London, the Governor General had a substantive role as a representative of the British government, and ultimate executive power was vested in the British Monarch—who was advised only by British ministers in its exercise. Canada's independence came about as each of these sub-ordinations was eventually removed. Heard went on to document the sizeable body of legislation passed by the British Parliament in the latter part of the 19th century that upheld and expanded its Imperial supremacy to constrain that of its colonies, including the new Dominion government in Canada. When the Dominion of Canada was created in 1867, it was granted powers of self-government to deal with all internal matters, but Britain still retained overall legislative supremacy. This Imperial supremacy could be exercised through several statutory measures. In the first place, the British North America Act of 1867 provided in Section 55 that the Governor General may reserve any legislation passed by the two Houses of Parliament for "the signification of Her Majesty's pleasure", which is determined according to Section 57 by the British Monarch in Council. Secondly, Section 56 provides that the Governor General must forward to "one of Her Majesty's Principal Secretaries of State" in London a copy of any Federal legislation that has been assented to. Then, within two years after the receipt of this copy, the (British) Monarch in Council could disallow an Act. Thirdly, at least four pieces of Imperial legislation constrained the Canadian legislatures. The Colonial Laws Validity Act of 1865 provided that no colonial law could validly conflict with, amend, or repeal Imperial legislation that either explicitly, or by necessary implication, applied directly to that colony. The Merchant Shipping Act of 1894, as well as the Colonial Courts of Admiralty Act of 1890 required reservation of Dominion legislation on those topics for approval by the British Government. Also, the Colonial Stock Act of 1900 provided for the disallowance of any Dominion legislation the British government felt would harm British stockholders of Dominion trustee securities. Most importantly, however, the British Parliament could exercise the legal right of supremacy that it possessed over common law to pass any legislation on any matter affecting the colonies. For decades, none of the Dominions were allowed to have its own embassies or consulates in foreign countries. All matters concerning international travel, commerce, etc., had to be transacted through British embassies and consulates. For example, all transactions concerning visas and lost or stolen passports by citizens of the Dominions were carried out at British diplomatic offices. It was not until the late 1930s and early 1940s that the Dominion governments were allowed to establish their own embassies, and the first two of these that were established by the Dominion governments in Ottawa and in Canberra were both established in Washington, D.C., in the United States. As Heard later explained, the British government seldom invoked its powers over Canadian legislation. British legislative powers over Canadian domestic policy were largely theoretical and their exercise was increasingly unacceptable in the 1870s and 1880s. The rise to the status of a Dominion and then full independence for Canada and other possessions of the British Empire did not occur by the granting of titles or similar recognition by the British Parliament but by initiatives taken by the new governments of certain former British dependencies to assert their independence and to establish constitutional precedents. What is remarkable about this whole process is that it was achieved with a minimum of legislative amendments. Much of Canada's independence arose from the development of new political arrangements, many of which have been absorbed into judicial decisions interpreting the constitution—with or without explicit recognition. Canada's passage from being an integral part of the British Empire to being an independent member of the Commonwealth richly illustrates the way in which fundamental constitutional rules have evolved through the interaction of constitutional convention, international law, and municipal statute and case law. What was significant about the creation of the Canadian and Australian federations was not that they were instantly granted wide new powers by the Imperial centre at the time of their creation; but that they, because of their greater size and prestige, were better able to exercise their existing powers and lobby for new ones than the various colonies they incorporated could have done separately. They provided a new model which politicians in New Zealand, Newfoundland, South Africa, Ireland, India, Malaysia could point to for their own relationship with Britain. Ultimately, "[Canada's] example of a peaceful accession to independence with a Westminster system of government came to be followed by 50 countries with a combined population of more than 2-billion people." Issues of colonial self-government spilled into foreign affairs with the Boer War (1899–1902). The self-governing colonies contributed significantly to British efforts to stem the insurrection, but ensured that they set the conditions for participation in these wars. Colonial governments repeatedly acted to ensure that they determined the extent of their peoples' participation in imperial wars in the military build-up to the First World War. 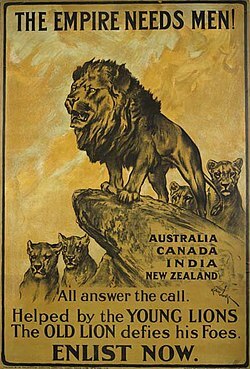 The assertiveness of the self-governing colonies was recognised in the Colonial Conference of 1907, which implicitly introduced the idea of the Dominion as a self-governing colony by referring to Canada and Australia as Dominions. It also retired the name "Colonial Conference" and mandated that meetings take place regularly to consult Dominions in running the foreign affairs of the empire. The Colony of New Zealand, which chose not to take part in Australian federation, became the Dominion of New Zealand on 26 September 1907; Newfoundland became a Dominion on the same day. The Union of South Africa was referred to as a Dominion upon its creation in 1910. The initiatives and contributions of British colonies to the British war effort in the First World War were recognised by Britain with the creation of the Imperial War Cabinet in 1917, which gave them a say in the running of the war. Dominion status as self-governing states, as opposed to symbolic titles granted various British colonies, waited until 1919, when the self-governing Dominions signed the Treaty of Versailles independently of the British government and became individual members of the League of Nations. This ended the purely colonial status of the Dominions. The First World War ended the purely colonial period in the history of the Dominions. Their military contribution to the Allied war effort gave them claim to equal recognition with other small states and a voice in the formation of policy. This claim was recognised within the Empire by the creation of the Imperial War Cabinet in 1917, and within the community of nations by Dominion signatures to the Treaty of Versailles and by separate Dominion representation in the League of Nations. In this way the "self-governing Dominions", as they were called, emerged as junior members of the international community. Their status defied exact analysis by both international and constitutional lawyers, but it was clear that they were no longer regarded simply as colonies of Britain. The Irish Free State, set up in 1922 after the Anglo-Irish War, was the first Dominion to appoint a non-British, non-aristocratic Governor-General when Timothy Michael Healy took the position in 1922. Dominion status was never popular in the Irish Free State where people saw it as a face-saving measure for a British government unable to countenance a republic in what had previously been the United Kingdom of Great Britain and Ireland. Successive Irish governments undermined the constitutional links with Britain until they were severed completely in 1949. In 1937 Ireland adopted, almost simultaneously, both a new constitution that included powers for a president of Ireland and a law confirming a role for the king in external relations. The Balfour Declaration of 1926, and the subsequent Statute of Westminster, 1931, restricted Britain's ability to pass or affect laws outside of its own jurisdiction. Significantly, Britain initiated the change to complete sovereignty for the Dominions. The First World War left Britain saddled with enormous debts, and the Great Depression had further reduced Britain's ability to pay for defence of its empire. In spite of popular opinions of empires, the larger Dominions were reluctant to leave the protection of the then-superpower. For example, many Canadians felt that being part of the British Empire was the only thing that had prevented them from being absorbed into the United States. Until 1931, Newfoundland was referred to as a colony of the United Kingdom, as for example, in the 1927 reference to the Judicial Committee of the Privy Council to delineate the Quebec-Labrador boundary. Full autonomy was granted by the United Kingdom parliament with the Statute of Westminster in December 1931. However, the government of Newfoundland "requested the United Kingdom not to have sections 2 to 6[—]confirming Dominion status[—]apply automatically to it[,] until the Newfoundland Legislature first approved the Statute, approval which the Legislature subsequently never gave". In any event, Newfoundland's letters patent of 1934 suspended self-government and instituted a "Commission of Government", which continued until Newfoundland became a province of Canada in 1949. It is the view of some constitutional lawyers that—although Newfoundland chose not to exercise all of the functions of a Dominion like Canada—its status as a Dominion was "suspended" in 1934, rather than "revoked" or "abolished". Canada, Australia, New Zealand, the Irish Free State, Newfoundland and South Africa (prior to becoming a republic and leaving the Commonwealth in 1961), with their large populations of European descent, were sometimes collectively referred to as the "White Dominions". Today Canada, Australia, New Zealand and the United Kingdom are sometimes referred to collectively as the "White Commonwealth". Continues as a Commonwealth realm and member of the Commonwealth of Nations. 'Dominion' was conferred as the country's title in the 1867 constitution and retained with the constitution's patriation in 1982, but has fallen into disuse. Continues as a Commonwealth realm and member of the Commonwealth of Nations. Newfoundland 1907 1949 After governance had reverted to direct control from London in 1934, became a province of Canada under the British North America Act 1949 (now the Newfoundland Act) passed in the UK parliament, 31 March 1949, prior to the London Declaration of 28 April 1949. South Africa 1910 1953 Continued as a Commonwealth realm until it became a republic in 1961 under the Republic of South Africa Constitution Act 1961, passed by the Parliament of South Africa, long title "To constitute the Republic of South Africa and to provide for matters incidental thereto", assented to 24 April 1961 to come into operation on 31 May 1961. Éire (1937–49) [‡ 3] 1922 1949 The link with the monarchy ceased with the passage of the Republic of Ireland Act 1948, which came into force on 18 April 1949 and declared that the state was a republic. India 1947 1950 The Union of India (with the addition of Sikkim from 1978) became a federal republic after its constitution came into effect on 26 January 1950. Pakistan 1947 1956 Continued as a Commonwealth realm until 1956 when it became a republic under the name "The Islamic Republic of Pakistan": Constitution of 1956. Ceylon 1948 1972 Continued as a Commonwealth realm until 1972 when it became a republic under the name of Sri Lanka. ^ The flags shown are the national flags of each country at the time it was a Dominion. ^ The term dominion generally fell into disuse from 1953, after which these countries were referred to as realms; however, see section on Canada, Name of Canada. Three Dominions continue as Commonwealth realms. ^ The Irish Free State was renamed Éire in Irish or Ireland in English in 1937. In 1937–1949, the Dominion was referred to as "Eire" by the British government. See also Names of the Irish state. Four colonies of Australia had enjoyed responsible government since 1856: New South Wales, Victoria, Tasmania and South Australia. Queensland had responsible government soon after its founding in 1859. Because of ongoing financial dependence on Britain, Western Australia became the last Australian colony to attain self-government in 1890. During the 1890s, the colonies voted to unite and in 1901 they were federated under the British Crown as the Commonwealth of Australia by the Commonwealth of Australia Constitution Act. The Constitution of Australia had been drafted in Australia and approved by popular consent. Thus Australia is one of the few countries established by a popular vote. Under the Balfour Declaration of 1926, the federal government was regarded as coequal with (and not subordinate to) the British and other Dominion governments, and this was given formal legal recognition in 1942 (when the Statute of Westminster was retroactively adopted to the commencement of the Second World War 1939). In 1930, the Australian prime minister, James Scullin, reinforced the right of the overseas Dominions to appoint native-born governors-general, when he advised King George V to appoint Sir Isaac Isaacs as his representative in Australia, against the wishes of the opposition and officials in London. The governments of the States (called colonies before 1901) remained under the Commonwealth but retained links to the UK until the passage of the Australia Act 1986. The term Dominion is employed in the Constitution Act, 1867 (originally the British North America Act, 1867), and describes the resulting political union. Specifically, the preamble of the act states: "Whereas the Provinces of Canada, Nova Scotia, and New Brunswick have expressed their Desire to be federally united into One Dominion under the Crown of the United Kingdom of Great Britain and Ireland, with a Constitution similar in Principle to that of the United Kingdom ..." Furthermore, Sections 3 and 4 indicate that the provinces "shall form and be One Dominion under the Name of Canada; and on and after that Day those Three Provinces shall form and be One Dominion under that Name accordingly". Usage of the phrase Dominion of Canada was employed as the country's name after 1867, predating the general use of the term Dominion as applied to the other autonomous regions of the British Empire after 1907. The phrase Dominion of Canada does not appear in the 1867 act nor in the Constitution Act, 1982, but does appear in the Constitution Act, 1871, other contemporaneous texts, and subsequent bills. References to the Dominion of Canada in later acts, such as the Statute of Westminster, do not clarify the point because all nouns were formally capitalised in British legislative style. Indeed, in the original text of the Constitution Act, 1867, "One" and "Name" were also capitalised. Frank Scott theorised that Canada's status as a Dominion ended when Canadian parliament declared war on Germany on 9 September 1939, separately and distinctly from the United Kingdom's declaration of war six days earlier. From the 1950s, the federal government began to phase out the use of Dominion, which had been used largely as a synonym of "federal" or "national" such as "Dominion building" for a post office, "Dominion-provincial relations", and so on. The last major change was renaming the national holiday from Dominion Day to Canada Day in 1982. Official bilingualism laws also contributed to the disuse of Dominion, as it has no acceptable equivalent in French. While the term may be found in older official documents, and the Dominion Carillonneur still tolls at Parliament Hill, it is now hardly used to distinguish the federal government from the provinces or (historically) Canada before and after 1867. Nonetheless, the federal government continues to produce publications and educational materials that specify the currency of these official titles. Defenders of the title Dominion—including monarchists who see signs of creeping republicanism in Canada—take comfort in the fact that the Constitution Act, 1982 does not mention and therefore does not remove the title, and that a constitutional amendment is required to change it. Ceylon, which, as a Crown colony, was originally promised "fully responsible status within the British Commonwealth of Nations", was formally granted independence as a Dominion in 1948. In 1972 it adopted a republican constitution to become the Free, Sovereign and Independent Republic of Sri Lanka. By a new constitution in 1978, it became the Democratic Socialist Republic of Sri Lanka. British India acquired a partially representative government in 1909, and the first Parliament was introduced in 1919. Discussions on the further devolution of power, and granting of Dominion status, continued through the 1920s, with The Commonwealth of India Bill 1925, Simon Commission 1927-1930, and Nehru Report 1928 being often cited proposals. Further powers were eventually devolved, following the 1930-32 Round Table Conferences (India), to the locally elected legislatures, via the Government of India Act, 1935. The Cripps Mission of 1942 proposed the further devolution of powers, within Dominion status, to the Political leadership of British India. Cripps's plan was rejected and full independence was sought. Pakistan (including Muslim-majority East Bengal forming East Pakistan) seceded from India at the point of Indian Independence with the passage of the Indian Independence Act 1947 and ensuing partition, resulting in two dominions. For India, dominion status was transitory until its new republican constitution was drafted and promulgated in 1950. Pakistan remained a dominion until 1956 when it became an Islamic Republic under its 1956 constitution. East Pakistan gained independence from Pakistan, as Bangladesh, in 1971. The Irish Free State (Ireland from 1937) was a British Dominion between 1922 and 1949. As established by the Irish Free State Constitution Act of the United Kingdom Parliament on 6 December 1922 the new state—which had Dominion status in the likeness of that enjoyed by Canada within the British Commonwealth of Nations—comprised the whole of Ireland. However, provision was made in the Act for the Parliament of Northern Ireland to opt out of inclusion in the Irish Free State, which—as had been widely expected at the time—it duly did one day after the creation of the new state, on 7 December 1922. Following a plebiscite of the people of the Free State held on 1 July 1937, a new constitution came into force on 29 December of that year, establishing a successor state with the name of "Ireland" which ceased to participate in Commonwealth conferences and events. Nevertheless, the United Kingdom and other member states of the Commonwealth continued to regard Ireland as a Dominion owing to the unusual role accorded to the British Monarch under the Irish External Relations Act of 1936. Ultimately, however, Ireland's Oireachtas passed the Republic of Ireland Act 1948, which came into force on 18 April 1949 and unequivocally ended Ireland's links with the British Monarch and the Commonwealth. The colony of Newfoundland enjoyed responsible government from 1855 to 1934. It was among the colonies declared Dominions in 1907. Following the recommendations of a Royal Commission, parliamentary government was suspended in 1934 due to severe financial difficulties resulting from the depression and a series of riots against the Dominion government in 1932. In 1949, it joined Canada and the legislature was restored. The New Zealand Constitution Act 1852 gave New Zealand its own Parliament (General Assembly) and home rule in 1852. In 1907 New Zealand was proclaimed the Dominion of New Zealand. 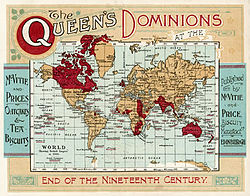 New Zealand, Canada, and Newfoundland used the word Dominion in the official title of the nation, whereas Australia used Commonwealth of Australia and South Africa Union of South Africa. New Zealand adopted the Statute of Westminster in 1947 and in the same year legislation passed in London gave New Zealand full powers to amend its own constitution. In 1986, the New Zealand parliament passed the Constitution Act 1986, which repealed the Constitution Act of 1852 and the last constitutional links with the United Kingdom, formally ending its Dominion status. The Union of South Africa was formed in 1910 from the four self-governing colonies of the Cape Colony, Natal, the Transvaal, and the Orange Free State (the last two were former Boer republics). The South Africa Act 1909 provided for a Parliament consisting of a Senate and a House of Assembly. The provinces had their own legislatures. In 1961, the Union of South Africa adopted a new constitution, became a republic, left the Commonwealth (and re-joined following end of Apartheid rule in the 1990s), and became the present-day Republic of South Africa. Southern Rhodesia (renamed Zimbabwe in 1980) was a special case in the British Empire. Although it was never a Dominion, it was treated as a Dominion in many respects. 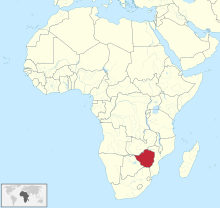 Southern Rhodesia was formed in 1923 out of territories of the British South Africa Company and established as a self-governing colony with substantial autonomy on the model of the Dominions. The imperial authorities in London retained direct powers over foreign affairs, constitutional alterations, native administration and bills regarding mining revenues, railways and the governor's salary. Southern Rhodesia was not one of the territories that were mentioned in the 1931 Statute of Westminster although relations with Southern Rhodesia were administered in London through the Dominion Office, not the Colonial Office. When the Dominions were first treated as foreign countries by London for the purposes of diplomatic immunity in 1952, Southern Rhodesia was included in the list of territories concerned. This semi-Dominion status continued in Southern Rhodesia between 1953 and 1963, when it joined Northern Rhodesia and Nyasaland in the Central African Federation, with the latter two territories continuing to be British protectorates. When Northern Rhodesia was given independence in 1964 it adopted the new name of Zambia, prompting Southern Rhodesia to shorten its name to Rhodesia, but Britain did not recognise this latter change. Rhodesia unilaterally declared independence from Britain in 1965 as a result of the British government's insistence on majority rule as a condition for independence. London regarded this declaration as illegal, and applied sanctions and expelled Rhodesia from the sterling area. Rhodesia continued with its Dominion-style constitution until 1970, and continued to issue British passports to its citizens. The Rhodesian government continued to profess its loyalty to the Sovereign, despite being in a state of rebellion against Her Majesty's Government in London, until 1970, when it adopted a republican constitution following a referendum the previous year. This endured until the state's reconstitution as Zimbabwe Rhodesia in 1979 under the terms of the Internal Settlement; this lasted until the Lancaster House Agreement of December 1979, which put it under interim British rule while fresh elections were held. The country achieved independence deemed legal by the international community in April 1980, when Britain granted independence under the name Zimbabwe. After World War II, Britain attempted to repeat the Dominion model in decolonizing the Caribbean. ... Though several colonies, such as Guyana and Trinidad and Tobago, maintained their formal allegiance to the British monarch, they soon revised their status to become republics. Britain also attempted to establish a Dominion model in decolonizing Africa, but it, too, was unsuccessful. ... Ghana, the first former colony declared a Dominion in 1957, soon demanded recognition as a republic. Other African nations followed a similar pattern throughout the 1960s: Nigeria, Tanganyika, Uganda, Kenya, and Malawi. In fact, only Gambia, Sierra Leone, and Mauritius retained their Dominion status for more than three years. In Africa, the Dominion of Ghana (formerly the Gold Coast) existed from 1957 until 1960, when it became the Republic of Ghana. The Federation of Nigeria was established as a dominion in 1960, but became the Federal Republic of Nigeria in 1963. The Dominion of Uganda existed from 1962 to 1963. Kenya was a dominion upon independence in 1963, but a republic was declared in 1964. Tanganyika and Zanzibar, predecessor states of Tanzania, were dominions from 1961 to 1962 and 1963 to 1964, respectively. The Dominion of Gambia existed from 1965 until 1970, when it was renamed the Republic of Gambia. Sierra Leone was a dominion from 1961 to 1971. Mauritius was a dominion from 1968 to 1992, when it became a republic. In the Caribbean, the Dominion of Trinidad and Tobago existed from 1962 to 1976, when it became the Republic of Trinidad and Tobago. Guyana was a dominion from 1966 to 1970 and the Co-operative Republic of Guyana thereafter. Malta was a dominion from 1964 to 1974. Initially, the Foreign Office of the United Kingdom conducted the foreign relations of the Dominions. A Dominions section was created within the Colonial Office for this purpose in 1907. 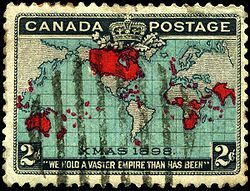 Canada set up its own Department of External Affairs in June 1909, but diplomatic relations with other governments continued to operate through the governors-general, Dominion High Commissioners in London (first appointed by Canada in 1880; Australia followed only in 1910), and British legations abroad. Britain deemed her declaration of war against Germany in August 1914 to extend to all territories of the Empire without the need for consultation, occasioning some displeasure in Canadian official circles and contributing to a brief anti-British insurrection by Afrikaner militants in South Africa later that year. A Canadian War Mission in Washington, D.C., dealt with supply matters from February 1918 to March 1921. Although the Dominions had had no formal voice in declaring war, each became a separate signatory of the June 1919 peace Treaty of Versailles, which had been negotiated by a British-led united Empire delegation. In September 1922, Dominion reluctance to support British military action against Turkey influenced Britain's decision to seek a compromise settlement. Diplomatic autonomy soon followed, with the U.S.-Canadian Halibut Treaty (March 1923) marking the first time an international agreement had been entirely negotiated and concluded independently by a Dominion. The Dominions Section of the Colonial Office was upgraded in June 1926 to a separate Dominions Office; however, initially, this office was held by the same person that held the office of Secretary of State for the Colonies. The principle of Dominion equality with Britain and independence in foreign relations was formally recognised by the Balfour Declaration, adopted at the Imperial Conference of November 1926. Canada's first permanent diplomatic mission to a foreign country opened in Washington, D.C., in 1927. 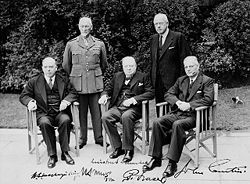 In 1928, Canada obtained the appointment of a British high commissioner in Ottawa, separating the administrative and diplomatic functions of the governor-general and ending the latter's anomalous role as the representative of the British government in relations between the two countries. The Dominions Office was given a separate secretary of state in June 1930, though this was entirely for domestic political reasons given the need to relieve the burden on one ill minister whilst moving another away from unemployment policy. The Balfour Declaration was enshrined in the Statute of Westminster 1931 when it was adopted by the British Parliament and subsequently ratified by the Dominion legislatures. Britain's declaration of hostilities against Nazi Germany on 3 September 1939 tested the issue. Most took the view that the declaration did not commit the Dominions. Ireland chose to remain neutral. At the other extreme, the conservative Australian government of the day, led by Robert Menzies, took the view that, since Australia had not adopted the Statute of Westminster, it was legally bound by the UK declaration of war—which had also been the view at the outbreak of the First World War—though this was contentious within Australia. Between these two extremes, New Zealand declared that as Britain was or would be at war, so it was too. This was, however, a matter of political choice rather than legal necessity. Canada issued its own declaration of war after a recall of Parliament, as did South Africa after a delay of several days (South Africa on 6 September, Canada on 10 September). Ireland, which had negotiated the removal of British forces from its territory the year before, remained neutral. There were soon signs of growing independence from the other Dominions: Australia opened a diplomatic mission in the US in 1940, as did New Zealand in 1941, and Canada's mission in Washington gained embassy status in 1943. Initially, the Dominions conducted their own trade policy, some limited foreign relations and had autonomous armed forces, although the British government claimed and exercised the exclusive power to declare wars. However, after the passage of the Statute of Westminster the language of dependency on the Crown of the United Kingdom ceased, where the Crown itself was no longer referred to as the Crown of any place in particular but simply as "the Crown". Arthur Berriedale Keith, in Speeches and Documents on the British Dominions 1918–1931, stated that "the Dominions are sovereign international States in the sense that the King in respect of each of His Dominions (Newfoundland excepted) is such a State in the eyes of international law". After then, those countries that were previously referred to as "Dominions" became Commonwealth realms where the sovereign reigns no longer as the British monarch, but as monarch of each nation in its own right, and are considered equal to the UK and one another. The Second World War, which fatally undermined Britain's already weakened commercial and financial leadership, further loosened the political ties between Britain and the Dominions. Australian Prime Minister John Curtin's unprecedented action (February 1942) in successfully countermanding an order from British Prime Minister Winston Churchill that Australian troops be diverted to defend British-held Burma (the 7th Division was then en route from the Middle East to Australia to defend against an expected Japanese invasion) demonstrated that Dominion governments might no longer subordinate their own national interests to British strategic perspectives. To ensure that Australia had full legal power to act independently, particularly in relation to foreign affairs, defence industry and military operations, and to validate its past independent action in these areas, Australia formally adopted the Statute of Westminster in October 1942 and backdated the adoption to the start of the war in September 1939. The Dominions Office merged with the India Office as the Commonwealth Relations Office upon the independence of India and Pakistan in August 1947. The last country officially made a Dominion was Ceylon in 1948. The term "Dominion" fell out of general use thereafter. Ireland ceased to be a member of the Commonwealth on 18 April 1949, upon the coming into force of the Republic of Ireland Act 1948. This formally signalled the end of the former dependencies' common constitutional connection to the British Crown. India also adopted a republican constitution in January 1950. Unlike many dependencies that became republics, Ireland never re-joined the Commonwealth, which agreed to accept the British monarch as head of that association of independent states. The independence of the separate realms was emphasised after the accession of Queen Elizabeth II in 1952, when she was proclaimed not just as Queen of the United Kingdom, but also Queen of Canada, Queen of Australia, Queen of New Zealand, and of all her other "realms and territories" etc. This also reflected the change from Dominion to realm; in the proclamation of Queen Elizabeth II's new titles in 1953, the phrase "of her other Realms and Territories" replaced "Dominion" with another mediaeval French word with the same connotation, "realm" (from royaume). Thus, recently, when referring to one of those sixteen countries within the Commonwealth of Nations that share the same monarch, the phrase Commonwealth realm has come into common usage instead of Dominion to differentiate the Commonwealth nations that continue to share the monarch as head of state (Australia, Canada, New Zealand, Jamaica, etc.) from those that do not (India, Pakistan, South Africa, etc.). The term "Dominion" is still found in the Canadian constitution where it appears numerous times, but it is largely a vestige of the past, as the Canadian government does not actively use it (see Canada section). The term "realm" does not appear in the Canadian constitution. The generic language of Dominion did not cease in relation to the Sovereign. It was, and is, used to describe territories in which the monarch exercises sovereignty. Many distinctive characteristics that once pertained only to Dominions are now shared by other states in the Commonwealth, whether republics, independent realms, associated states or territories. The practice of appointing a High Commissioner instead of a diplomatic representative such as an ambassador for communication between the government of a Dominion and the British government in London continues in respect of Commonwealth realms and republics as sovereign states. ^ Merriam Webster's Dictionary Archived 29 September 2007 at the Wayback Machine (based on Collegiate vol., 11th ed.) 2006. Springfield, MA: Merriam-Webster, Inc.
^ a b Mohr, Thomas (2013). "The Statute of Westminster, 1931: An Irish Perspective" (PDF). Law and History Review. 31 (04): 749–791: fn.25. doi:10.1017/S073824801300045X. ISSN 0738-2480. Archived (PDF) from the original on 9 October 2016. Retrieved 6 October 2016. ^ Cyprus (Annexation) Order in Council, 1914, dated 5 November 1914. ^ Order quoted in The American Journal of International Law, "Annexation of Cyprus by Great Britain"
^ "Parliamentary questions, Hansard, 5 November 1934". hansard.millbanksystems.com. 5 November 1934. Archived from the original on 13 July 2009. Retrieved 11 June 2010. ^ League of Nations (1924). "The Covenant of the League of Nations". Article 1: The Avalon Project at Yale Law School. Archived from the original on 24 July 2011. Retrieved 20 April 2009. ^ "Dominion" Archived 30 September 2007 at the Wayback Machine. Youth Encyclopedia of Canada (based on Canadian Encyclopedia). Historica Foundation of Canada, 2008. Accessed 20 June 2008. "The word "Dominion" is the official status of Canada. ... The term is little used today." ^ The "Northern Territory of New South Wales" was physically separated from the main part of NSW. In 1863, the bulk of it was transferred to South Australia, except for a small area that became part of Queensland. See: Letters Patent annexing the Northern Territory to South Australia, 1863 Archived 1 June 2011 at the Wayback Machine. In 1911, the Commonwealth of Australia agreed to assume responsibility for administration of the Northern Territory, which was regarded by the government of South Australia as a financial burden.www.foundingdocs.gov.au Archived 31 August 2006 at the Wayback Machine. The NT did not receive responsible government until 1978. ^ a b Alan Rayburn (2001). Naming Canada: Stories about Canadian Place Names. University of Toronto Press. pp. 17–21. ISBN 978-0-8020-8293-0. ^ "The London Conference December 1866 – March 1867". www.collectionscanada.gc.ca. Archived from the original on 22 November 2006. Retrieved 11 June 2010. ^ a b c d Andrew Heard (1990). "Canadian Independence". Archived from the original on 6 May 2009. Retrieved 5 February 2008. ^ a b Forsey, Eugene (1990). "How Canadians Govern Themselves". Archived from the original on 11 February 2008. Retrieved 14 October 2007. ^ Buckley, F. H. (2014). The Once and Future King: The Rise of Crown Government in America. Encounter Books. Archived from the original on 15 May 2014. Retrieved 15 May 2014. ^ F. R. Scott (January 1944). "The End of Dominion Status". The American Journal of International Law. American Society of International Law. 38 (1): 34–49. doi:10.2307/2192530. JSTOR 2192530. ^ "March of the white commonwealth: Is UK entry for working holidays". independent.co.uk. 23 January 1994. Archived from the original on 6 February 2017. ^ a b J. E. Hodgetts. 2004. "Dominion". Oxford Companion to Canadian History, Gerald Hallowell, ed. ( ISBN 0-19-541559-0), at "Archived copy". Archived from the original on 17 March 2015. Retrieved 1 March 2015. CS1 maint: Archived copy as title (link) - p. 183: "Ironically, defenders of the title dominion who see signs of creeping republicanism in such changes can take comfort in the knowledge that the Constitution Act, 1982, retains the title and requires a constitutional amendment to alter it." ^ Forsey, Eugene A., in Marsh, James H., ed. 1988. "Dominion Archived 4 April 2006 at the Wayback Machine" The Canadian Encyclopedia. Hurtig Publishers: Toronto. ^ a b "National Flag of Canada Day: How Did You Do?". Department of Canadian Heritage. Archived from the original on 13 July 2007. Retrieved 7 February 2008. The issue of our country's legal title was one of the few points on which our constitution is not entirely homemade. The Fathers of Confederation wanted to call the country "the Kingdom of Canada". However the British government was afraid of offending the Americans so it insisted on the Fathers finding another title. The term "Dominion" was drawn from Psalm 72. In the realms of political terminology, the term dominion can be directly attributed to the Fathers of Confederation and it is one of the very few, distinctively Canadian contributions in this area. It remains our country's official title. ^ Sotomayor, William Fernando. "Newfoundland Act". www.solon.org. Archived from the original on 24 February 2011. ^ "Archives". Republic of Rumi. Archived from the original on 14 June 2013. Retrieved 12 July 2013. ^ Scott, Frank R. (January 1944). "The End of Dominion Status". The American Journal of International Law. American Society of International Law. 38 (1): 34–49. doi:10.2307/2192530. Archived from the original on 28 July 2013. ^ "The Prince of Wales 2001 Royal Visit: April 25 - April 30; Test Your Royal Skills". Department of Canadian Heritage. 2001. Archived from the original on 11 July 2006. Retrieved 7 February 2008. As dictated by the British North America Act, 1867, the title is Dominion of Canada. The term is a uniquely Canadian one, implying independence and not colonial status, and was developed as a tribute to the Monarchical principle at the time of Confederation. ^ "How Canadians Govern Themselves" (PDF). PDF. Archived (PDF) from the original on 25 March 2009. Retrieved 6 February 2008. Forsey, Eugene (2005). How Canadians Govern Themselves (6th ed.). Ottawa: Her Majesty the Queen in Right of Canada. ISBN 0-662-39689-8. The two small points on which our constitution is not entirely homemade are, first, the legal title of our country, "Dominion," and, second, the provisions for breaking a deadlock between the Senate and the House of Commons. ^ "The Commonwealth of India Bill 1925". Constituent assembly debates & India. Retrieved 30 May 2018. ^ Tripathi, Suresh Mani (2016). Fundamental Rights and Directive Principles in India. Anchor Academic Publishing. pp. 39–40. ISBN 9783960670032. Retrieved 30 May 2018. ^ William Roger Louis (2006). Ends of British Imperialism: The Scramble for Empire, Suez, and Decolonization. I.B.Tauris. pp. 387–400. ^ On 7 December 1922 (the day after the establishment of the Irish Free State) the Parliament resolved to make the following address to the King so as to opt out of the Irish Free State: "MOST GRACIOUS SOVEREIGN, We, your Majesty's most dutiful and loyal subjects, the Senators and Commons of Northern Ireland in Parliament assembled, having learnt of the passing of the Irish Free State Constitution Act, 1922, being the Act of Parliament for the ratification of the Articles of Agreement for a Treaty between Great Britain and Ireland, do, by this humble Address, pray your Majesty that the powers of the Parliament and Government of the Irish Free State shall no longer extend to Northern Ireland". Source: Northern Ireland Parliamentary Report, 7 December 1922 Archived 19 March 2009 at the Wayback Machine and Anglo-Irish Treaty, sections 11, 12. ^ "History, Constitutional - The Legislative Authority of the New Zealand Parliament - 1966 Encyclopaedia of New Zealand". www.teara.govt.nz. 22 April 2009. Archived from the original on 28 April 2009. Retrieved 11 June 2010. ^ a b "Dominion status". NZHistory. Archived from the original on 3 June 2010. Retrieved 11 June 2010. ^ Prof. Dr. Axel Tschentscher, LL. M. "ICL - New Zealand - Constitution Act 1986". servat.unibe.ch. Archived from the original on 13 February 2010. Retrieved 11 June 2010. ^ a b Rowland, J. Reid. "Constitutional History of Rhodesia: An outline": 245–251. Appendix to Berlyn, Phillippa (April 1978). The Quiet Man: A Biography of the Hon. Ian Douglas Smith. Salisbury: M. O. Collins. pp. 240–256. OCLC 4282978. ^ Wood, J. R. T. (April 2008). A matter of weeks rather than months: The Impasse between Harold Wilson and Ian Smith: Sanctions, Aborted Settlements and War 1965–1969. Victoria, British Columbia: Trafford Publishing. p. 5. ISBN 978-1-42514-807-2. ^ Harris, P. B. (September 1969). "The Rhodesian Referendum: June 20th, 1969" (pdf). Parliamentary Affairs. Oxford University Press. 23: 72–80. Archived (PDF) from the original on 4 February 2016. Retrieved 4 June 2013. ^ Gowlland-Debbas, Vera (1990). Collective Responses to Illegal Acts in International Law: United Nations action in the question of Southern Rhodesia (First ed.). Leiden and New York: Martinus Nijhoff Publishers. p. 73. ISBN 0-7923-0811-5. ^ Brandon Jernigan, "British Empire" in M. Juang & Noelle Morrissette, eds., Africa and the Americas: Culture, Politics, and History (ABC-CLIO, 2008) p. 204. ^ "For the first three years of its independence, Nigeria was a dominion. As a result, its head of state was Queen Elizabeth II ..." Hill, J.N.C. (2012). Nigeria Since Independence: Forever Fragile?. London: Palgrave Macmillan. p. 146, note 22. ISBN 978-1-349-33471-1. ^ Da Graça, John V. (2000). Heads of State and Government (2nd ed.). London and Oxford: Macmillan. p. 937. ISBN 978-0-333-78615-4. ^ Mr. K.N. Gichoya, bringing a motion on 11 June 1964 in the Kenyan House of Representatives that Kenya be made a Republic: "I should make it clear to those who must know our status today, we are actually a dominion of the United Kingdom in the same way as ... Canada, Australia and New Zealand." Kenya National Assembly Official Record (Hansard), 1st Parliament, 2nd Session, Vol. 3 (Part 1), Column 135. ^ Da Graça, John V. (2000). Heads of State and Government (2nd ed.). London and Oxford: Macmillan. p. 917. ISBN 978-0-333-78615-4. ^ Da Graça, John V. (2000). Heads of State and Government (2nd ed.). London and Oxford: Macmillan. p. 355. ISBN 978-0-333-78615-4. ^ "In 1971 Siaka Stevens embarked on the process to transform Sierra Leone from a Dominion to a Republic." Berewa, Solomon E. (2011). A New Perspective on Governance, Leadership, Conflict and Nation Building in Sierra Leone. Bloomington, Indiana: AuthorHouse. p. 66. ISBN 978-1-4678-8886-8. ^ "Prime Minister Jugnauth proposed to amend the constitution to change Mauritius from a dominion to a republic. It was passed unanimously and on 12 March 1992, Mauritius acceded to a republic state." NgCheong-Lum, Roseline (2009). CultureShock! Mauritius: A Survival Guide to Customs and Etiquette. Tarrytown, New York: Marshall Cavendish. p. 37. ISBN 978-07614-5668-1. ^ Da Graça, John V. (2000). Heads of State and Government (2nd ed.). London and Oxford: Macmillan. p. 925. ISBN 978-0-333-78615-4. ^ Da Graça, John V. (2000). Heads of State and Government (2nd ed.). London and Oxford: Macmillan. p. 407. ISBN 978-0-333-78615-4. ^ Da Graça, John V. (2000). Heads of State and Government (2nd ed.). London and Oxford: Macmillan. p. 565. ISBN 978-0-333-78615-4. ^ Statute of Westminster Adoption Act 1942 (Act no. 56 of 1942). The long title for the Act was "To remove Doubts as to the Validity of certain Commonwealth Legislation, to obviate Delays occurring in its Passage, and to effect certain related purposes, by adopting certain Sections of the Statute of Westminster, 1931, as from the Commencement of the War between His Majesty the King and Germany." Link: www.foundingdocs.gov.au Archived 16 July 2005 at the Wayback Machine. Buckley, F. H., The Once and Future King: The Rise of Crown Government in America, Encounter Books, 2014. Choudry, Sujit. 2001 (?). "Constitution Acts" (based on looseleaf by Hogg, Peter W.). Constitutional Keywords. University of Alberta, Centre for Constitutional Studies: Edmonton. Holland, R. F., Britain and the Commonwealth Alliance 1918-1939, MacMillan, 1981. Forsey, Eugene A. 2005. How Canadians Govern Themselves, 6th ed. ( ISBN 0-662-39689-8) Canada: Ottawa. Hallowell, Gerald, ed. 2004. The Oxford Companion to Canadian History. Oxford University Press: Toronto; p. 183-4 ( ISBN 0-19-541559-0). Marsh, James H., ed. 1988. "Dominion" et al. The Canadian Encyclopedia. Hurtig Publishers: Toronto. Martin, Robert. 1993 (?). 1993 Eugene Forsey Memorial Lecture: A Lament for British North America. The Machray Review. Prayer Book Society of Canada. A summative piece about nomenclature and pertinent history with abundant references. Rayburn, Alan. 2001. Naming Canada: stories about Canadian place names, 2nd ed. ( ISBN 0-8020-8293-9) University of Toronto Press: Toronto.